Other than a few pests, things are looking pretty good in the beds. 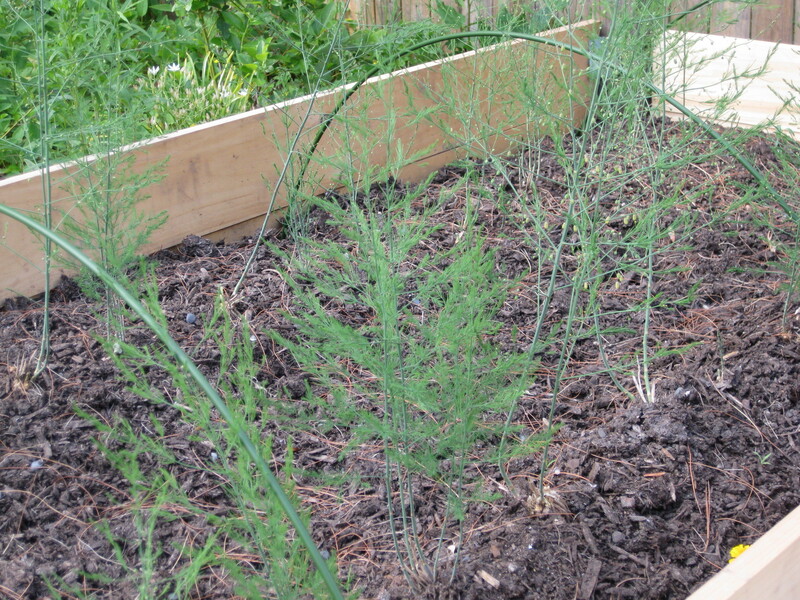 Asparagus has foliage and is doing well. 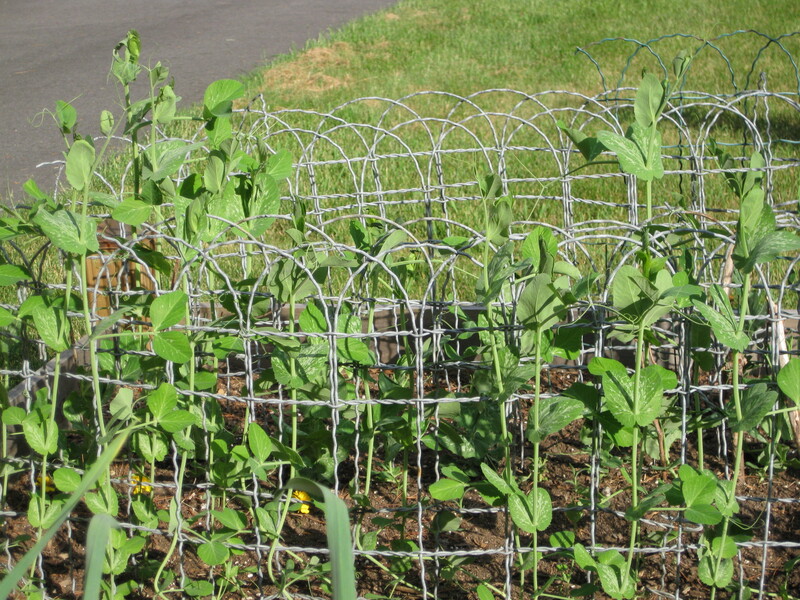 Peas are reaching for the sky. 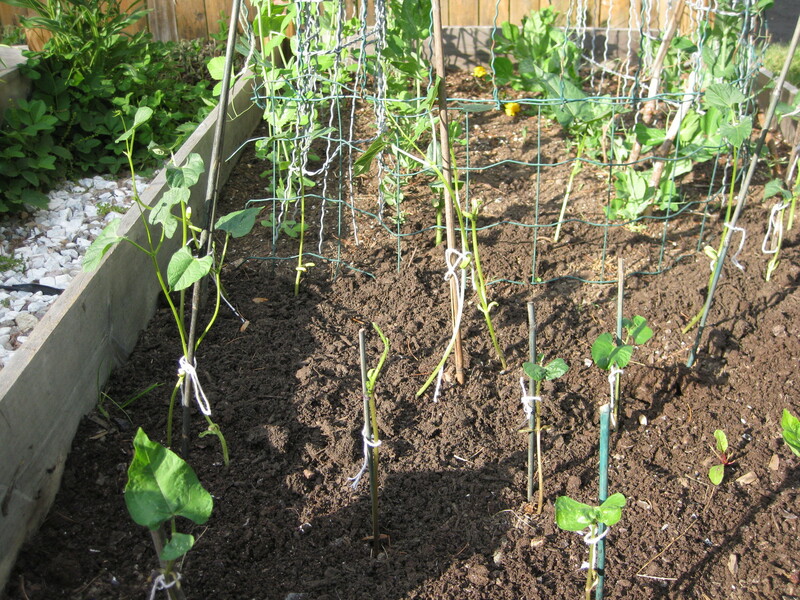 All my bean varieties germinated and were transplanted yesterday. Taters are doing well. Round 1 is about halfway to the point where I stop piling on the dirt. It took a while for round 1 to put on some growth, about 2.5 weeks. This was much longer than last year. During that time I panicked, thinking I’d started them too early (seed taters should not be planted in soil that’s under 45F and it was getting down there at night) and they were rotting away, so I ordered replacements from Wood Prairie … which arrived just as round 1 started to sprout leaves. 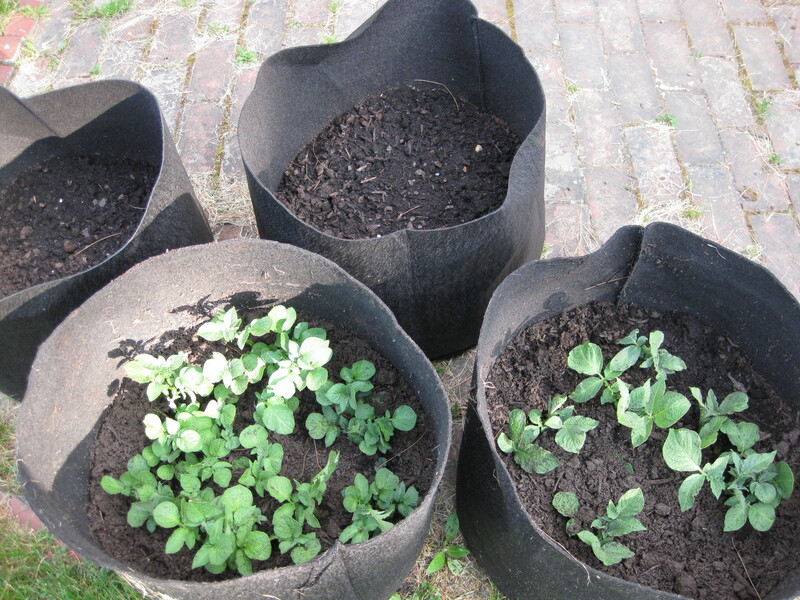 Then I did what anyone else would have done, ordered more potato bags and put round 2 in them when the bags got here. 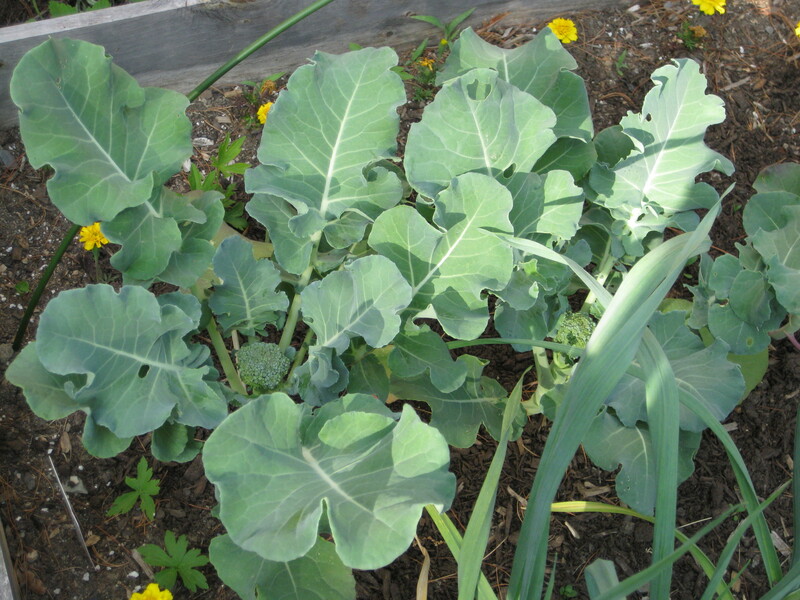 A few heads on the broccoli. 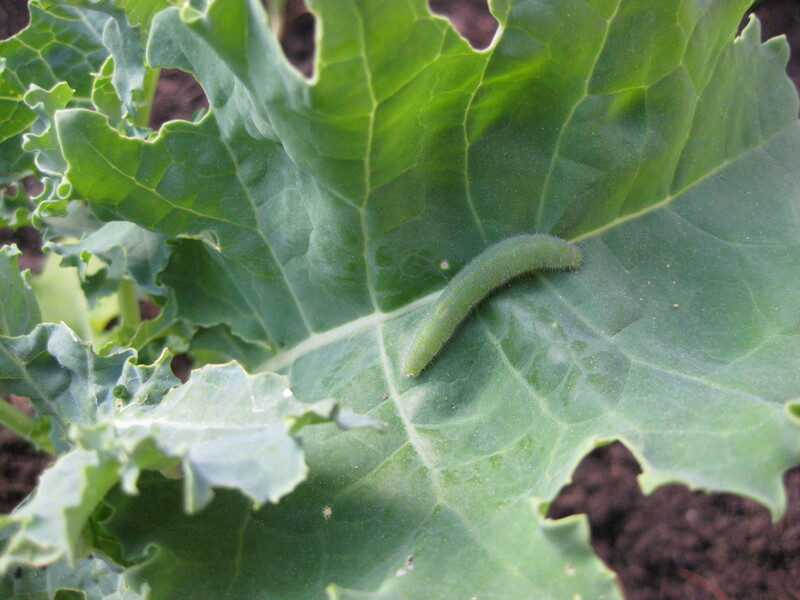 I figured out what’s been chomping on the leaves, as well as the kale: cabbageworms. I picked off 7 or 8 of these over the weekend and squished the daylights out of them. No free lunch here, kids. Tell your friends. 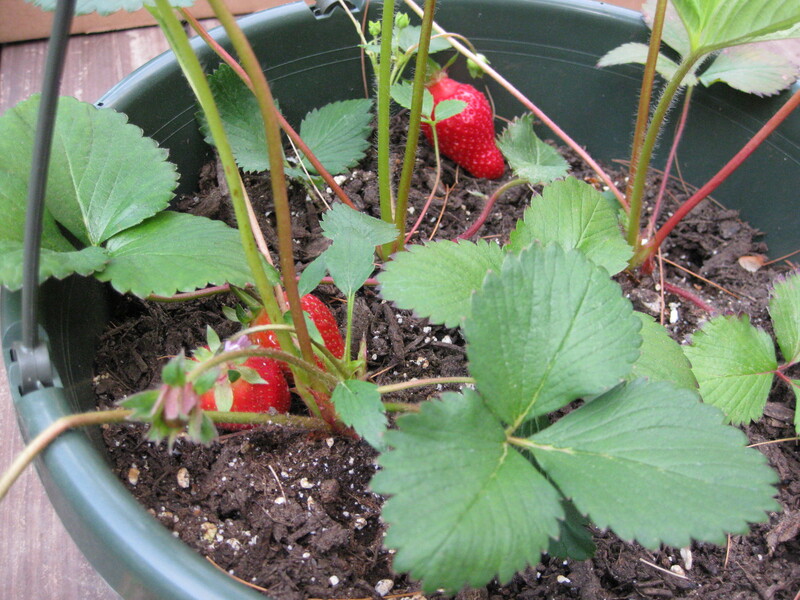 Lastly … we ate our first strawberries of the season! It’s still MAY for goodness sake. If you’ve never tried the floating row covers over your broccoli, you may want to. They are ugly, but they work, and are surely less ugly than nasty steamed worms in your dinner! One tip — soak the broccoli/kale etc. in very salty water for a few minutes then rinse again to remove most of the hiding and small worms. Ha. Thanks. Though I can’t take all the credit – these plants were purchased from the nursery soon after my seedlings got ravaged. I’ll try breaking out the row cover again. Great tip with the salt water/rinse as well.